Desk Pilates is an invitation to bring the benefits of a little recess into each day, right at your desk. 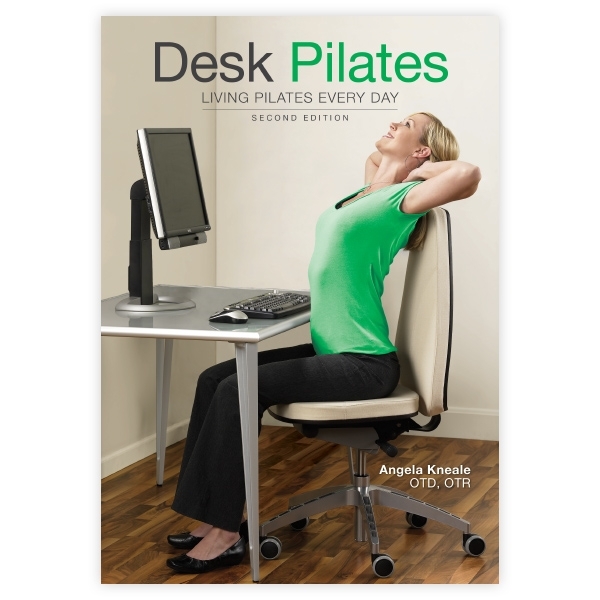 Desk Pilates by Angela Kneale gives you a chance to reconnect your body and brain, deepen breathing patterns, improve confidence with movement, utilize core muscles to support the spine and decrease your muscle tension. Pilates exercises can be enjoyed right at your workstation with no equipment. They may be performed as an entire sequence or as focused, individual movements throughout the day. 22 exercises are featured, complete with step-by-step instructions and full-color photographs demonstrating correct form. The second edition has been updated with a revised introduction, refined exercise instructions and new ergonomic workstation ideas. Written by Angela Kneale, OTD, MA, OTR/L, NBC-HWC. Angela is an occupational therapist, integrative health coach, certified STOTT Pilates® instructor and Franklin Method® educator.